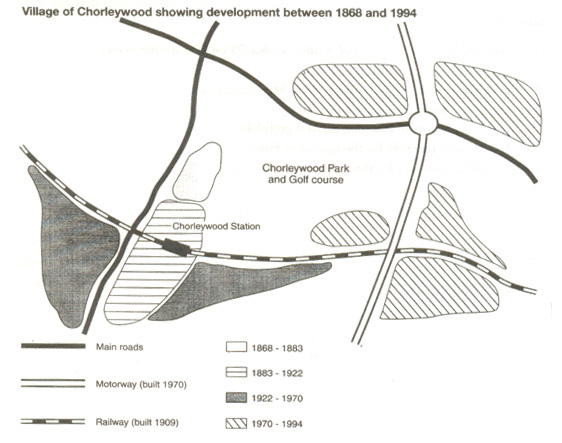 From 1868 to 1883, Chorleywood covered a small area next to one of the main roads. Chorleywood Park and Golf Course are now located next to this original village area. The village grew along the main road to the south between 1883 and 1922, and in 1909 a railway line was built crossing this area from west to east. Chorleywood station is in this part of the village.